The Russian military operation in Syria is nearing the end of its third year. Since 2015, Moscow has been employing its air power, military advisors and diplomatic resources to defeat a multitude of terrorist groups, to support the legitimate Syrian government, and to promote a peaceful dialogue across the country, thereby creating the framework for a diplomatic settlement of the conflict on the international and regional levels. Russia&apos;s capabilities of providing military supplies to Syrian government forces and humanitarian aid to the local population, have both played an important role in establishing Russian forces as an influential and reputable power within Syria, which can play the role of a mediator among various factions on the ground in the war-torn country. In comparison, all other foreign powers involved in the conflict are forced to rely on a limited number of proxy forces, which have often proven to exhibit a harsh attitude toward, and competition with their counterparts and competitors. On the other hand, this situation puts restrictions on Moscow&apos;s actions in some spheres, because it must balance its public and formal positions to push forward the promoted political settlement while pursuing Russia&apos;s own national security and political goals simultaneously. To put Russian actions in Syria and the Middle East in general in perspective, one should think back to what the situation was like on the eve of the direct Russian intervention in the conflict. At that moment, the Syrian branch of al-Qaeda – Jabhat al-Nusra (now known as Hayat Tahrir al-Sham) – and other radical militant groups, often branded in the mainstream media as the moderate opposition, as well as ISIS, were engaged in an increasingly successful offensive against the Syrian government on multiple frontlines. Jabhat al-Nusra and its allies were at the gates of Damascus, in control of large parts of northern, western and southern Syria, as well as multiple areas within the government-held areas, including about a half of the city of Aleppo, often described as the second Syrian capital. At the same time, ISIS&apos; self-proclaimed Caliphate was rapidly spreading throughout the eastern and northern parts of the country. The terrorist group was in control of a major part of the Syrian oil resources, the strategically important cities of Deir Ezzor and Raqqah, and controlled a sizeable border with Turkey. The US, Israel, Turkey, Saudi Arabia, Qatar and other countries of the so-called civilized world were either providing direct and indirect supplies or assistance to Jabhat al-Nusra and its allies in an effort to overthrow the Assad government. The US-led coalition against ISIS achieved little success in combating the terrorist group and destroying its infrastructure. The so-called Caliphate had clearly expanded its territory and power since the coalition&apos;s formal establishment on June 13, 2014. ISIS&apos; oil business was on the rise with illegal oil flows streaming throughout the region and even reaching the broader international market. The mainstream media and think tanks were publicly forecasting that the Damascus government would fall by the end of 2015, or in the best-case scenario would be able to consolidate its control over the coastal areas. These same western establishment disseminators of information warned that such a coastal statelet would soon turn into an Iranian client pseudo-state after the dissipation of Syria. Iran has invested a significant amount of resources and troops in the conflict and even convinced Hezbollah to join it on the side of the Damascus government. Nonetheless, these efforts were not enough to shift the balance of power in favor of the Assad government. All of these forecasts appeared to be doomed to failure on September 30, 2015 when warplanes and attack helicopters of the Russian Aerospace Forces started pounding militants across the country, irrevocably shaping the course of the conflict. Units of the Russian Special Operations Forces arrived to direct airstrikes, to conduct reconnaissance missions, and a host of other classified missions deep behind the enemy&apos;s lines. Behind the scenes, Russian military advisers started planning and directing offensive operations and kicked off a long and complicated process of transforming the Syrian Army and pro-government militias into a force capable of defeating the terrorists and to liberate the country. Additionally, the Russians started expanding and fortifying their Khmeimim airbase and the naval facility in Tartus. Later, Russian military police, combat engineers and the Navy also played an increasing role. Throughout the conflict, Russia-linked private military contractors entered the game providing security to key energy infrastructure facilities in the liberated areas and serving as assault troops in some key battles. The regional power with its economy "in tatters" [Obama sic] appeared to be capable of projecting power, providing assistance and highly professional military advising, and large-scale counter-terrorism missions in a key global region approximately 1,482 nautical miles from the Black Sea Fleet based at Sevastopol, Crimea to the Tartus naval facility in Latakia, Syria. One of the key reasons behind the Russian decision to launch its operation in Syria was the very logical concern over growing security threats from terrorist groups near Russia&apos;s southern borders and the possibility that some powers could use terrorist groups in the larger, ongoing geopolitical standoff. Russia has already had to struggle with this reality in the Caucasus regions of Chechnya, Dagestan and Ingushetia starting in 1994. Brought largely under control in 2009, Russian security forces continue to battle Islamic insurgents in these regions. The Syrian-Iraqi battleground is located approximately 450 km from the border of the former USSR. Russian has been a target of terrorism perpetrated by radical Islamist groups for decades. Considering the rapid growth of ISIS in 2014, some Western actors would like to see the expansion of this entity or other quasi-state terrorist structures into Russia&apos;s South Caucasus or the border area with the Central Asia. Thus, Moscow found common ground with the governments of Iran, Syria and Iraq and even the leaders of Hezbollah, all of whom were also concerned with the growth of highly organized and ideologically motivated Sunni terrorism in the region. These factors led to the creation of the Russian-Syrian-Iranian-Hezbollah alliance and the establishment of a HQ in Baghdad for joint intelligence-sharing cooperation and anti-terrorism coordination between these nations. The alliance was de-facto formed and the Baghdad HQ was established immediately after the start of the Russian military operation in Syria in late September. To strengthen the Assad government and its military forces. This would not only be accomplished by resupply of weapons and munitions, but a ground-up reeducation in modern warfare tactics, starting at the small unit level, and building to advanced operations involving multiple large formations employing the full spectrum of combined arms warfighting practices. To create conditions on the ground under which the less radical elements of the opposition would have no choice but to join and participate in the political process. To defend and promote the economic interests of the Russian state, including a direct and indirect control of the transit of energy resources, in the region. Obviously, Moscow had to expand its own military infrastructure at the facilities in Tartus and the Khmeimim airbase, and to ensure the security of the deployed forces. Russian attack helicopters additionally used airbases in Shayrat, Homs, Tiyas and Damascus as advance airfields. As a beneficial consequence of direct participation in the conflict, the Russian Federation gained the opportunity to test its more modern weapons systems under real combat conditions and to provide personnel with combat experience. Even tough Russia was employing a relatively small combined task force to achieve the aforementioned goals throughout the course of the operation, this force of soldiers, battle hardened and educated on the modern field of battle, would provide a core cadre full of invaluable experience and leadership. When the operation started, the Russian Aerospace Forces deployed at least 50 aircraft, including Su-24M attack aircraft, Su-25SM attack aircraft, Su-30SM fighter jets, Su-34 fighter-bombers and Mi-24 attack helicopters with transport capabilities and Mi-8 military transport helicopters. This air group was reshuffled several times depending upon the situation on the ground and the tasks and objectives pursued by the Russian leadership. At different stages of the conflict, it also included Su-35S multi-role air superiority fighters, Su-27SM multirole fighters, MiG-29SMT air superiority fighters and Ka-52 and Mi-28N attack helicopters. Tu-160, Tu-95MS and Tu-22M3 strategic bombers were employed from airfields in southern Russia. Two Su-57 fifth generation stealth fighter jets passed combat tests in Syria in February 2018. According to the Russian Defense Ministry, at least one Su-57 used an advanced air-launched cruise missile to target militants. The decision was recently made to approve the first serial production run of twelve of these advanced aircraft. A deeply modernized Su-25SM3 attack aircraft, which incorporates the Vitebsk-25 EW system, avionics, and weapon control systems with an L-370-3S digital active jamming station, was also spotted at the Khmeimim airbase. The L-370-3S can use an enemy radar emission to locate their azimuth and determine the radar emission type, as well as suppress the signal in different frequency ranges. It also possesses protective measures against various missiles. The A-50 airborne early warning and control aircraft, Il-20M1 electronic, radar reconnaissance aircraft and Tu-214R electronic surveillance aircraft were another component of the Russian "reconnaissance-strike complex" keeping control of Syrian airspace and detecting troop and supply movements on the ground as well as locating militant commanders, headquarters, weapon depots and other key infrastructure by detecting their electronic communications&apos; signature an locating its source. Russia has been developing a number of advanced electronic warfare, surveillance and command and control aircraft over the past two decades. On a tactical level, Russian servicemen used a high number [about 100] of unmanned aerial vehicles (UAVs) of different types; Orlan 10, Forpost, Orion, Dozor-100, Eleron-3, and the Pchela-1T to conduct reconnaissance during combat operations and to monitor ceasefire areas across the country. Units of the Naval Infantry, the Mechanized Infantry, the Special Operations Forces and the Military Police have provided strong zonal security for the Khmeimim and Tartus infrastructure from the very start of operations. Particularly, servicemen of the 810th Naval Infantry Brigade of the Black Sea Fleet have been involved in this task. T-90 main battle tanks have been also deployed to bolster the security posture of these forces in very real terms. Krasukha-4 and other electronic warfare systems are also an important component of the Russian forces&apos; air defense capabilities. According to some experts, these systems were employed during two US-led missile strikes on Syrian government forces in 2017 and 2018, and were likely an important factor behind the questionable success of these US attacks. Additional air-defense capabilities have been provided by the Russian naval task group deployed in eastern Mediterranean. These capabilities depend on the composition of the group. For example, the Slava class guided missile cruisers Moskva and Varyag, which have been deployed as part of such task groups in the past, are equipped with the S-300F Fort long-range surface-to-air missile system. The naval task group deployed also increased the anti-ship capabilities of the Russian operational force in Syria, allowing it to protect itself from hostile warships. In November 2016, the Russian military officially announced that it sent K-300P Bastion-P mobile coastal defense missile systems to Syria. This anti-ship missile system is designed to engage surface ships, including carrier strike groups, convoys and amphibious assault ships. The Russian naval force involved in the conflict was in its strongest shape in the period of November 2016 to January 2017 when the Kirov class nuclear-powered battlecruiser Pyotr Velikiy, heavy aircraft-carrying missile cruiser Admiral Kuznetsov and two Udaloy class anti-submarine destroyers were deployed along with a number of smaller support vessels. This group significantly expanded air-defense, anti-ship and anti-submarine capabilities of the Russian forces. Mig-29KR/KUBR and Su-33 jets attached to the Admiral Kuznetsov also took part in the aerial operation against militants in the country, carrying out 420 combat missions and hitting 1,252 targets, according to the Russian Defense Ministry. On the other hand, Admiral Kuznetsov&apos;s air wing lost a MiG-29K jet and a Su-33 jet during the Syria deployment, because of technical faults during the aircraft arrested-recovery process. This highlighted problems and limitations of the Russian naval aviation at its current stage of development and maturity. Importantly, the most valuable asset involved in both of these accidents, the pilots, were rescued by the vigilant recovery teams of the naval task force. Warships of the Black Sea Fleet and the Caspian Sea Fleet also participated in the campaign carrying out Kalibr cruise missile strikes on ISIS and Jabhat al-Nusra targets, mainly weapon depots, headquarters, and other high value, hardened targets. Although western mainstream media tried to downplay the significance of Kalibr cruise missile strikes from both surface warfare vessels and submerged submarines, these attacks very clearly illustrated the success of the Russian defense industry in producing high tech cruise missiles, as well as the Russian military&apos;s proficiency at utilizing them. Combat engineers to participate in demining of key liberated areas across the country. Besides these tasks, there were at least two more components of the Russian military forces deployed in Syria. The first is were elements of conventional and rocket artillery systems. Units of apparent Russian origin armed with 2A65 Msta-B 152 mm howitzers and TOS-1A Solntsepyok heavy flamethrower systems have been spotted a number of times, located in frontline positions in key sectors supporting the main effort of offensive and defensive operations. For example, in February 2016, CNN filmed an artillery detachment armed with Mstab-B howitzers near Palmyra. The detachment was guarded by an armored group, which included a few T-90 main battle tanks and BTR-82A armored personnel carriers. The crews appeared to be Russians. The second component and open secret, is the participation of Russian and Russia-linked private military contractors (PMCs) in the conflict. According to available data, these PMCs served as storm troops in a number of key battles against ISIS, such as in Deir Ezzor and Palmyra, work as artillery support units, and are involved in guarding the liberated gas and oil infrastructure in central Syria. There is no official data as to how many Russia-linked PMCs are currently deployed in Syria. According to some experts, the total is roughly 2,000. In conjunction with direct military intervention, Russia boosted military aid to the Damascus government and its allied forces. To accomplish this, Russia established an aerial and naval logistics supply network that came to be known as the "Syria Express". The Syrian Arab Army (SAA) and sanctioned pro-government factions have been supplied with military equipment, including armored vehicles and battle tanks, artillery guns, multiple rocket launchers, anti-tank guided missiles and other needed arms and munitions. It&apos;s widely known that Moscow even provided a limited number of T-90 main battle tanks, TOS-1A Solntsepyok heavy flamethrower systems and Uragan multiple rocket launcher systems. The Syrian military has also received Pantsir-S1 air defense systems and materiel support needed for the maintenance of its aircraft and air defense systems. At least 17 vessels of various types are involved in providing military supplies to Syria via the maritime route (Tartus-Sevastopol- Novorossiysk). It is interesting to note that at critical stages of the conflict the Russian military made use of non-military vessels. Analysts stressed that this proved that Russia lacks significant sealift capacity and has a very limited number of landing craft and amphibious ships that can be dedicated to providing supplies to Syria. The Russian Navy has been slowly remedying this obvious shortcoming by building larger amphibious warfare vessels of larger displacement in recent years. Operations to liberate multiple militant-held pockets within the government held area. In late September, 2015 Syrian forces were spread among different areas of operation, their communications were overstretched and operations were poorly planned and coordinated. At the same time, weapons, munitions, equipment and recruits were flowing to militant groups in Syria through Turkey. The Russians had to assist the SAA in dealing with all of these issues. The general course of the conflict can be separated into the four stages. At the outset, or first stage of the campaign, the provinces of Latakia, Homs, Hama, Deir Ezzor and the Damascus countryside became the main areas of close operational support provided by the Russian military to the SAA, the National Defense Forces (NDF) and other pro-government factions. In Deir Ezzor, the key task of the Russian Aerospace Forces and the Syrian Arab Air Force was to provide supplies and fire support to a garrison of the provincial capital besieged by ISIS and to prevent the fall of the city. This goal remained relevant until 2017 when the siege was broken. In the province of Latakia, Russian forces propelled an advance of the SAA along the M4 highway, allowing government forces in the period from October 2015 to August 2016 to reassert control over the province. The SAA, the NDF and other pro-government factions significantly shortened the militant-held part of the Syrian-Turkish border, culminating in the capture of the strategically important town of Kinsabba. The front in northern Latakia was stabilized and the threat of a Jabhat al-Nusra-led offensive on the Syrian coast was neutralized. The Russian Su-24 warplane was shot down by the Turkish Air Force during this very advance. Ankara did not desire a Syrian government restoration of control over the country&apos;s border, as Turkey&apos;s political elite were benefiting greatly from illicit trade across the border, as well as providing the free flow of reinforcements and resupply of militants operating in Syria. An additional offensive was opened in the province of Aleppo from October 2015 to December 2016 when government forces engaged the Jabhat al-Nusra-led bloc north and southwest of the provincial capital, and ISIS east of it. Government forces lifted the two-year-long ISIS siege of the Kuweires military airbase, expanded a buffer zone west of the Khanasir Highway, the main supply line to the government-held part of Aleppo city, and cut off the key supply lines heading from the Turkish town of Kilis to the militant-held part of Aleppo city. Thus, the SAA and its allies divided the militant-held areas in northern and western Syria into two separate enclaves. This advance also predetermined the future of Aleppo city. Small scale military actions were conducted in northern Hama from October to December 2015. In this area, the Syrian-Iranian-Alliance achieved limited gains in comparison to the developments in Latakia and Aleppo. Pro-government forces advanced along the M5 highway and west of it, outflanking a group of militant-held towns and villages, including Kafr Zita and Lataminah. Subsequent militant counter-attacks resulted in little gains and the frontline was more or less stabilized. Amid successes in western and northern Syria, government troops carried out a series of advances on ISIS positions in the province of Homs. On March 27, 2016 they liberated the ancient city of Palmyra. A few days later, on April 3, another important city, al-Qaryatayn, was also liberated. ISIS forces in central Syria were forced to withdraw to the desert. During the following month of June, the SAA, the Desert Hawks and other pro-government factions made an attempt to reach and capture the town of Tabqa from ISIS advancing from the direction of Ithriyah; however, they overstretched their logistical lines and were forced to retreat, suffering casualties after a series of ISIS counter-attacks. One of the key factors behind the success of the SAA and its allies was a massive air campaign carried out by the Russian Aerospace Forces. Russian aircraft not only provided close air support to government troops, but also contributed significant efforts to destroying infrastructure of Jabhat al-Nusra and ISIS striking their convoys, gatherings, weapons depots, HQs and other facilities deep behind the actual frontlines, attacking targets in the provinces of Idlib, Aleppo, Deir Ezzor and Raqqah. ISIS&apos; oil infrastructure and oil convoys were among the most important targets of the air campaign. Thus, the Russian military undermined one of the terrorist group&apos;s key financial resources. The Russian-led operation against militants entered its second stage in June 2016 following the collapse of a US-Russian deal aimed at establishing a ceasefire regime in the war-torn country. Under the terms of the deal, Jabhat al-Nusra, other al-Qaeda-linked groups and ISIS were excluded from the ceasefire regime. However, so-called moderate opposition groups were not able to separate themselves from their terrorist affiliates. These groups often even shared the same facilities and positions on the frontlines with Jabhat al-Nusra units. Thus, the ceasefire became impossible. The situation was especially complicated in the city of Aleppo, a section of which was controlled by the Jabhat al-Nusra-led bloc. With the collapse of the attempted ceasefire, the SAA&apos;s campaign to retake Aleppo took place from June 25, 2016 to December 22, 2016, ending with the government&apos;s liberation of the entire city. During the summer phase of the campaign, the SAA and its allies advanced in the Mallah Farms area and cut off the Castello Road, the only supply line to the militant-held, eastern part of Aleppo. Then, government troops repelled all militant attempts to break the siege. Especially fierce clashes took place in the area of al-Rashidin in October and November. A battle of attrition was waged on the encircled militants and during the final phase of the advance, militants lacked weapons and supplies to counter government advances, while the SAA effectively used its advantage in military equipment, manpower and firepower. Humanitarian corridors were also opened to allow civilians to withdraw from the combat area. On December 13, a local ceasefire agreement was reached between the opposing sides and by December 22, all remaining radical members of the militant groups and their relatives surrendered all their heavy weapons and withdrew to the militant-held part of Idlib via an open corridor. The deal ensured that further civilian casualties, inevitable in the urban warfare, would be avoided. The city of Aleppo, also known as the industrial capital of Syria and the second-largest city in the country was finally liberated. In addition to regular troops of the SAA and the NDF, the operation involved all elite factions of the Syrian military and Iranian-backed forces including the 4th Armored Division, the Republican Guard, the Syrian Marines, the Tiger Forces, the Desert Hawks, the Syrian Social Nationalist Party, Liwa al-Quds, Lebanese Hezbollah and Harakat Hezbollah al-Nujaba. The Russian Special Operations Forces and the Iranian Islamic Revolutionary Guard Corps also participated. According to reports, over 25,000 pro-government fighters were involved. About 15,000 militants from various factions deployed inside and around the city opposed them. Neither side provided official information regarding the casualties they sustained. According to estimates by various sources, up to 1,500 government fighters were killed in the battle. In turn, about 2,000 militants were killed. The number of injured militants remains unknown. Furthermore, Jabhat al-Nusra and its allied groups expended a large portion of their unguided rocket and anti-tank guided missile arsenal over the course of the fighting, and lost a large number of armored vehicles as well. A key objective of the operation was the evacuation of civilians via opened humanitarian corridors. According to the Russian Ministry of Defense, over 150,000 civilians were evacuated from the combat area during the operation. It is interesting to note that a naval group led by the Kirov class nuclear-powered battlecruiser Pyotr Velikiy and heavy aircraft-carrying missile cruiser Admiral Kuznetsov were deployed in close proximity to Syria during the battle for Aleppo. According to some experts, the addition of these powerful vessels to the Russian task group involved in the operation, especially considering their defensive capacities in anti-air warfare, provided a significant deterrent to any decision by Washington to intervene, thus avoiding a direct confrontation between the US-led coalition and the Syrian government when the conflict was passing its crucial turning point. an ISIS offensive on the ancient city of Palmyra. Both of these attacks took place during the key stages of the battle for Aleppo. Thus, ISIS and Jabhat al-Nusra de-facto united their efforts in attacking the SAA and its allies along different fronts, in an attempt to draw crucial Syrian military manpower and effort away from its operation to liberate the strategic city. The Jabhat al-Nusra-led advance in northern Hama started on August 29 and lasted until November 6. This attack was actively supported by Jund al-Aqsa, which in 2017 merged with ISIS, as well as other so-called moderate opposition groups. Using surprise effect and suicide bombers, militants broke the NDF&apos;s defense and captured a number of villages. In September, October and early November, fierce clashes continued. By November 6, the SAA, the NDF and their allies had been able to reverse the militants&apos; gains and to stabilize the front. ISIS launched its attack on Palmyra on December 8 and captured the city by December 10. The terrorist group had captured the ancient city amid fierce clashes with the SAA and the NDF. On December 11, government forces launched an unsuccessful counter-attack to re-capture the city. On December 12, ISIS units started a large-scale advance to capture the Tiyas Airbase west of Palmyra. Terrorists carried out multiple attempts to capture the airbase, but were not successful. They were equally unsuccessful in efforts to cut off the road between the airbase and the city of Homs. On December 22, the frontline stabilized. According to available data, ISIS concentrated up to 5,000 militants for the December advance. The government&apos;s positions were defended by about 3,000 fighters, including units of the SAA, Hezbollah, Liwa Fatemiyoun and later the Tiger Forces. They were backed up by Syrian and Russian air support. According to pro-government sources, over 600 ISIS members were killed in the clashes. Pro-ISIS sources claim that over 300 pro-government fighters were killed. During the months of October and November, prior to the pivotal victory in Aleppo, the SAA also carried out a successful operation in the Damascus countryside, liberating the militant-held sector of Western Ghouta. Government forces broke the militants&apos; defense and in late November forced them to accept a reconciliation agreement. A significant number of militants and their families departed to the militant-held territory of Idlib. Many combatants and their families chose to remain in the area and settled their legal status with the Syrian government, under the supervision of security forces. The Syrian-Iranian-Russian alliance achieved important victories liberating the city of Aleppo and the Western Ghouta region of Damascus, but lost Palmyra. This was a major PR loss, and was actively seized upon by the mainstream media to slam the Russian-backed anti-terrorist campaign in Syria. The Western mainstream media made every attempt to overshadow the many successes of the campaign by highlighting the setback in Palmyra. to deal with multiple militant-held pockets still existing within the government-held regions, either achieved by military means or through safe passage and relocation agreements. A military operation to take back Palmyra began on January 13, 2017 from the direction of the Tiyas Airbase, at that time still being besieged by ISIS. Units of the SAA, the Tiger Forces, Liwa Fatemiyoun, Hezbollah, the Republican Guard and the 5th Assault Corps spent a month clashing with ISIS along the Tiyas-Palmyra highway and re-entered the ancient city for the second time on March 2. On March 4, Palmyra was fully secured. The advance was marked by very active Russian involvement, including the participation of PMCs, the Russian Aerospace Forces and a significant effort by Special Operations Forces. According to the Russian Defense Ministry, ISIS lost over 1,000 militants killed or wounded in the ensuing struggle, along with 19 battle tanks, 37 armored fighting vehicles, 98 pickup trucks armed with heavy weaponry and 100 other vehicles. The heavy casualties suffered by ISIS during the battles for Palmyra and their failed advance on the Tiyas airbase, set the conditions for further operations against the terrorist group in the Homs-Deir Ezzor desert, as well as in the eastern part of Aleppo province. From January through June, government forces forced ISIS terrorists to retreat along a wide front in eastern Aleppo, leading to the liberating of the Jirah Airbase, Deir Haffer, Maskanah and a number of other points. By the middle of June, the SAA advanced into the southern periphery of the province of Raqqah. This caused great consternation in the mainstream media and led to a growth of tensions with the US-led coalition and its proxies. On June 18, an F/A-18 Super Hornet from the USS George H.W. Bush aircraft carrier shot down a Syrian Air Force Su-22M4 south of the town of Tabqah, which was then occupied by the Syrian Democratic Forces (SDF) – a Kurdish dominated coalition of armed groups backed by Washington. The Su-22M4 was supporting the SAA&apos;s anti-ISIS operation in the area. The US claimed that the warplane was posing an imminent threat to the SDF, and was shot down in an act of self-defense. Regardless of efforts of both ISIS and the U.S. led coalition and its proxies on the ground, the SAA established control over the key junction of Resafa, thus securing the Ithriyah-Resafa road and cutting the SDF off from any advance into central Syria. From May to September, government forces carried out another offensive against ISIS, this time in central and eastern Syria. They liberated the entire desert regions north and south of the Homs-Palmyra highway, and reached the border with Jordan, both northeast and northwest of the area of At-Tanf. During the course of the operation, US-backed proxies branded as elements of the Free Syrian Army, miraculously appeared in the area and attempted to oppose the advance of the SAA in eastern Syria. These attempts proved unsuccessful. During the advance, the Syrian military carried out the first air assault operation since the beginning of the war. On August 11, units of the Tiger Forces, led by Gen. Suheil al-Hassan, landed behind ISIS defensive positions at an administrative boundary line between the provinces of Homs and Raqqah. The operation immediately led to the capture of two settlements and added fuel to the general SSA advance in the area. Up to 30 ISIS members were killed in the ensuing clash. Despite all of these advances, the issue of allowing a US-led coalition military garrison on the Baghdad-Damascus highway, in the area of At-Tanf, remained unresolved. Washington showed its readiness to use force to keep the highway closed to the Syrian government, carrying out airstrikes on pro-government forces there [for example on May 18]. The US-led coalition declared a 50-km wide zone of responsibility around At Tanf, stating that US military forces were deployed there to fight ISIS in the region; however it soon became apparent that ISIS seemed to be able to freely operate within this zone of protection. The US had set up a de-facto exclusion zone, where ISIS militants could seek refuge, regroup and strike at will, all the while protected by a US enforced no-fly zone. On July 23, government forces advanced on ISIS positions along the Palmyra-Sukhna-Deir Ezzor highway with the aim of capturing Sukhna. They reached the town in late July and established full control over it on August 5. On August 27, the SAA and its allies launched an offensive to break the ISIS siege on the city of Deir Ezzor. On September 5, the siege was lifted from the western portion of the city. On September 9, government troops broke the encirclement of the Deir Ezzor airport. All ISIS counter-attacks were repelled. According to pro-government sources, the multi-pronged advance against ISIS that led to the liberation of central Syria and lifted the siege of Deir Ezzor involved over 50,000 pro-government fighters from various factions. About 3,000 ISIS members were reportedly killed or injured. The SAA and its allies lost up to 1,000 troops, according to pro-opposition sources. The city of Deir Ezzor was fully liberated from ISIS on November 17, after about a month of urban clashes. Additionally, a military operation to retake the eastern bank of the Euphrates was launched. The SAA liberated the town of al-Mayadin on October 12 and the town of al-Bukamal on November 19. ISIS was effectively defeated in the area, its self-proclaimed Caliphate had collapsed. During the same time period as the above mentioned developments, the SAA carried out three additional military operations in western Syria. In the period from December 23, 2016 to January 29, 2017 government troops established control over the entire area of Wadi Barada in the province of Rif Dimashq. A part of the area was liberated thanks to a reconciliation agreement reached between the government and more or less moderate members of local armed groups. The liberation of this area allowed the SAA to secure the supply of water to Damascus. From July 21 to August 15, the SAA, Hezbollah and the Lebanese Army carried out a coordinated operation against Hayat Tahrir al-Sham (formerly Jabhat al-Nusra) and ISIS in the western Qalamon area on the Syrian-Lebanese border. The entire border between the two countries became free of terrorists. From October 7, 2017 to February 13, 2018 the SAA and its allies reclaimed a great deal of land in northeastern Hama and eastern Idlib, killing over 1,000 members of ISIS, Hayat Tahrir al-Sham and other militant groups. The government advance in western Idlib showed that even in this most militant of enclaves, which has been controlled by an assortment of opposition and terrorist groups since the early years of the war, the militants were increasingly unable to win in a head-to-head engagement with the SAA. By the late winter of 2018, the Russian military operation in Syria entered its fourth stage. At this stage, the Syrian military had to deal with the remaining militant-held pockets within the majority government-held areas and to keep security and order in the recently liberated areas, especially the city of Deir Ezzor and in the Euphrates Valley. A military operation against Hayat Tahrir al-Sham, Jaish al-Islam, Ahrar al-Sham and Faylaq al-Rahman in the Eastern Ghouta region of Damascus, code-named Operation Damascus Steel, took place in the period from February 18, 2018 to April 14, 2018. The operation involved about 25,000 fighters from the SAA, the Tiger Forces, the Republican Guard, Liwa al-Quds, the NDF, the 4th Armored Division, the 5th Assault Corps and other pro-government factions. This force, backed by Russian Special Operations Forces troops, faced about 15,000-18,000 members of local militant groups. Government troops split the militant-held pocket into two separate parts and then cleared the two newly formed pockets one after another. As in many previous cases, local reconciliation agreements played an important part of the success of the operation. The operation was not undermined by the alleged chemical attack in the town of Douma, which took place on April 7, nor the missile strike on Syrian government targets by the US, the UK and France carried out on April 14. The US led missile strikes exerted no real military or political pressure on the Syrian government, nor their allies engaged in the operation to finally retake the East Ghouta suburb of Damascus. The assertions by the U.S. and its allies on the floor of the UN assembly that claimed that the Syrian government had perpetrated a poison gas attack on Douma proved inconclusive, if not totally improbable. During the clashes, about 550 militants were killed and about 1,200 members of militant groups surrendered to the SAA. According to pro-militant sources, government forces lost up to 600 fighters. The mainstream media and pro-militant outlets also claimed that "thousands" of civilians died during the operation, but this number has never been verified. An operation against ISIS in the Yarmouk refugee camp area in southern Damascus was carried out between April 19 and May 21. Palestinian pro-government militias, like Liwa al-Quds and the Popular Front for the Liberation of Palestine – General Command, played a significant role in the operation. The Syrian military forced members of non-ISIS militant groups to accept a reconciliation deal, thus securing the area east of Yarmouk, and carried out a large-scale multipronged advance on ISIS positions. ISIS members in the area were lacking in military equipment, supplies and anti-armor capabilities. By the end of May, the entire southern Damascus area had been secured. According to Russian, Syrian and Iranian state-run media, all ISIS members had been eliminated. Nonetheless, sources on the ground have stated that at least some ISIS members and their families – about 1,600 persons, were allowed to withdraw from the area via an opened corridor after they had surrendered all heavy weapons in their possession. Militants in Rastan accepted a surrender agreement on May 2, surrendering their weapons and leaving the area by May 16. About 11,000 members of militant groups and their families left Rastan and nearby settlements and relocated to the militant-held parts of Idlib and Aleppo provinces via an open corridor. On April 17, militant groups accepted a surrender agreement in eastern Qalamoun. Under the agreement militants surrendered their weapons and were granted the opportunity to leave the area or to settle their legal status. The Syrian military restored full control over the area on April 25. It is important to note that eastern Qalamoun militants surrendered a large number of heavy military equipment, including battle tanks, anti-tank guided missiles, rocket launchers and other weapons. Using such a large arsenal they may have been able to resist the SAA advance for a notable amount of time. When weighing their options with full knowledge of the many recent SAA victories over the past year, they chose to surrender. By June 2018, the SAA and its allies had liberated a large part of the country, including the cities of Aleppo and Deir Ezzor, the entire countryside of Damascus, and had liquidated the many pockets of opposition that had existed in the government-held portion of the country. ISIS&apos; self-proclaimed Caliphate in Syria had been taken apart in a series well planned and decisively executed military campaigns. On June 18, the SAA and its allies launched a military operation to clear southern Syria of both ISIS and Hayat Tahrir al-Sham, and to re-establish control of the Syrian-Jordanian border. Previously, Damascus, assisted by Russian advisers, made a number of attempts to implement a reconciliation agreement in the area allowing members of relatively moderate opposition groups to surrender their weapons and settle their legal status. All these attempts were sabotaged by Hayat Tahrir al-Sham and its supporters. Thus, a military solution was implemented. Within the next month, the SAA liberated the entire Daraa countryside and set conditions to combat ISIS east of the Golan Heights. From July 21 to July 31, the SAA also cleared the ISIS-held pocket east of the Golan Heights. However, the security situation in the area still remains complicated and additional security measures are needed to prevent terrorist attacks there. When the southern Syria issue is finally resolved, the SAA and its allies will turn their gaze upon the province of Idlib. Turkey, which has recently increased both its influence and presence there, has no justification for attempting to preserve Hayat Tahrir al-Sham or any of its many affiliated militant groups in the face of Syrian military intervention. The Erdogan government will have to find a way to either reconcile and divorce itself from the internationally recognized terrorist group, or somehow continue maintaining a relationship with it, while honoring the framework of the agreements reached by Syria, Turkey, Russia and Iran in the Astana format. The answer to this question will become more apparent only when the SAA begin military operations against militants in Idlib sometime in the near future. The Russian Defense Ministry provided a comprehensive report on the results of its military operation in Syria in late 2017. The report stated that by November 7, 2017, 54,000 members of militant groups, 394 battle tanks and over 12,000 pieces of weaponry, vehicles and other equipment had been eliminated in Syria. An estimated 4,200 of the eliminated militants were from Russia or countries bordering it. During that same period, warplanes of the Russian Aerospace Forces carried out over 30,000 combat sorties, and executed 92,000 airstrikes. This amounted to an average of 100 combat sorties and 250 airstrikes on a daily basis. Attack helicopters carried out a total of approximately 7,000 combat sorties. Warplanes from the Admiral Kuznetsov carried out 420 combat sorties, 117 of them at night, hitting 1,252 targets. The Russian Navy carried out ten missile strikes on militant targets, employing at least 70 Kalibr cruise missiles. The first combat usage of Kalibr missiles in Syria was on October 7, 2015, only a week after the start of the military operations within the war-torn country. Russian sappers deployed in the country removed over 100,000 mines and IEDs and continue to operate across the country. They have employed the Uran-6 mine-clearing robotic systems, OKO-2 ground-penetrating system and other modern equipment. To date, about 1,000 Syrian sappers have been trained by their Russian counterparts and the training program is ongoing. Russia has played an important role in the logistics and maintenance support of the SAA, both in general and on an operational level. According to the Defense Ministry, Russian specialists are actively involved in assisting the Syrian military in maintaining and recovering military equipment. While most of this activity remains unpublicized, it&apos;s known that in 2015 the Russians restored a tank-repairing plant in the city of Homs. The plant is currently operated by the Syrian government. Additionally, Russian specialists and officers contributed to the improvement of Syria&apos;s air defense capabilities, while providing both maintenance support to air defense systems and radars and training to Syrian officers. In April 2018, the Russian state-run news agency RIA Novosti reported, citing a source in the Russia Defense Ministry, that Russia had delivered at least 40 Pantsir-S1 short to medium range defense systems to Syria over the past few years. In the period from late September 2015 to August 2017, Russian specialists carried out over 3,000 ordinary maintenance activities and over 25,000 activities linked to maintenance of Russian weapons and equipment deployed in Syria. Additionally, the Russian military tested over 600 types of weapons and equipment, including MiG-29SMT air superiority fighters, Su-57 fifth-generation fighter jets and BMPT-72 Terminator tank support combat vehicles. Two Su-57 fighter jets passed combat tests in Syria in February 2018. According to the defense ministry, one of the jets used advanced air-launched cruise missiles against militant targets. On December 22, 2017, Russian Defense Minister Sergei Shoigu said that a total of 48,000 Russian service members took part in the Syria military campaign. He added that 14,000 of these service members received state awards. From the start of the military operation on September 30, 2015 through June 20, 2018, the Russian military lost 93 servicemen in combat and non-combat incidents. Of these, 39 of them died on March 6, 2018 when an An-26 transport aircraft crashed near Khmeimim Air Base, because of a supposed technical malfunction. Combat related deaths claimed the lives of 43 Russian servicemen and specialists. Separately, it should be noted that 92 people died in a crash of a Russian Defense Ministry Tupolev Tu-154, which was heading from the city of Sochi to Khmeimim airbase. The plane crashed into the Black Sea on December 25, 2016. The passenger list included 64 members of the Alexandrov Ensemble choir, 8 crew members, 7 soldiers, 9 journalists, the Director of the Department of Culture for the Russian Ministry of Defense and three civilians. Comparing Russian losses to that of the US Air Force and US Navy in operations in Syria, Iraq and Afghanistan, it is easy to conclude that Russia suffered higher losses in aircraft during the same period. One reason for the imbalance is that Russia is behind the US in UAV technologies and does not operate unmanned combat aerial vehicles. The primary reason must be attributed to the difference between the approaches implemented by the Russian Aerospace Forces and the US Air Force. The US has either engaged ground targets from a high altitude while using guided munitions, or via unmanned armed UAVs. By contrast, although Russian combat aviation conducted many airstrikes from high altitude via guided munitions, the majority of airstrikes by Russian aircraft were conducted at low altitude. Russian use of traditional close air support, where combat aviators work in close communication with forward air observers embedded with units on the front line, or even behind enemy lines, while attacking at low altitude resulted in a higher probability of aircraft loss, but resulted in higher target accuracy and better results. The heavy use of attack helicopters in the CAS role by the Russian Aerospace Forces proved greatly effective in providing accurate and lethal air support to allied units engaged in combat in both open terrain and urban areas. There is no confirmed data on casualties among Russian and Russia-linked PMCs. If one believes in all of the speculations spread by the mainstream media and monitoring groups, this number should be not less than 1,000-1,500 dead and wounded. The problem is that reasonably substantiated reports, which include at a minimum the name, date or location of death of individuals engaged in such employment, exist only for about 30 individuals. According to most military analysts, the real number of Russian PMC casualties is closer to two or three hundred. An alleged chemical attack in Khan Shaykhun, Idlib province, took place on April 4, 2017. The incident occurred in the militant-held area, deep behind the frontline, amid a rapidly developing and successful operation conducted by the SAA against Hayat Tahrir al-Sham in northern Hama. According to pro-militant sources, mostly the Western-backed militant-linked organization known as the White Helmets, at least 74 people were killed and over 550 were injured. The White Helmets and others claimed that chemical weapons were dropped by a warplane of the Syrian Air Force. The US, UK, France, Israel and a number of other countries immediately accused the Syrian government of being responsible for the attack. The Syrian government, Russia and Iran described the attack as a staged provocation and called on the international community to carry out an independent and transparent investigation of the incident. On April 7, ahead of any investigation, the USS Porter guided missile destroyer launched 59 Tomahawk cruise missiles at the Syrian Air Force&apos;s Shayrat Air Base in the province of Homs. According to the US Central Command, the missiles "targeted aircraft, hardened aircraft shelters, petroleum and logistical storage, ammunition supply bunkers, air defense systems, and radars". US Secretary of Defense James Mattis said that the strike had resulted, "in the damage or destruction of fuel and ammunition sites, air defense capabilities, and 20 percent of Syria&apos;s operational aircraft. The Syrian government has lost the ability to refuel or rearm aircraft at Shayrat airfield and at this point, use of the runway is of idle military interest." Syrian warplanes resumed their operations from the airbase a few hours after the US strike. The Russian Defense Ministry described the "combat effectiveness" of the attack as "extremely low" adding that only 23 missiles hit their intended targets. According to existing visual evidence, 10 Syrian aircraft were destroyed: three Su-22, four Su-22M3, and three MiG-23ML. According to some sources, the number of targeted aircraft could be up to 15; however, sources at the airbase have said that most of the destroyed aircraft had been already damaged or out of service. According to Pentagon spokesman Captain Jeff Davis, "Russian forces were notified in advance of the strike using the established deconfliction line". There is no doubt that Moscow informed the Syrians who had withdrawn most of their assets from Shayrat Air Base prior to the strike. This could explain why no real damage was incurred from the strike. International investigators have never visited Khan Shaykhun nor Shayrat Air Base. A year after the Shayrat missile strike, on April 7, 2018 an alleged chemical attack took place in Douma, in the Damascus suburb of Eastern Ghouta. The incident allegedly occurred in the militant-held area, behind the frontline, amid a rapidly successful operation of the SAA against Hayat Tahrir al-Sham, Jaish al-Islam, Ahrar al-Sham and Faylaq al-Rahman. By April 7, the SAA had liberated most of the area and had already forced Jaish al-Islam, which had controlled Douma, to accept a surrender agreement. The White Helmets once again became the main source of the information on the alleged casualties. According to pro-militant sources, from 48 to 85 people were killed and over 500 were injured in the alleged attack. They claimed that a helicopter of the Syrian Air Force had dropped chemical weapons. The US, United Kingdom, France, Israel and a number of their usual allies immediately accused the Syrian government of being responsible for the attack. Once again, the Syrian government, Russia and Iran described the attack as a staged provocation and called on the international community to carry out an independent and transparent investigation of the incident. 19 AGM-158 JASSM air-launched cruise missiles. 7 missiles hit "Him Shinshar CW Bunker". a number of missiles failed to reach their targets due to apparent technical reasons. The Russians also revealed wreckage of the intercepted missiles and displayed at least one unexploded Tomahawk cruise missile. The ministry of defense added that two unexploded missiles (a Tomahawk and a high-accuracy air-launched missile) had been recovered and delivered to Russia from Syria. Russia also carried out its own investigation of the alleged chemical attack in Douma and stated that its results showed that the attack was a staged provocation. Russian specialists also found and interviewed people, doctors and alleged victims filmed by the White Helmets in a video allegedly showing the aftermath of the chemical attack. On April 27, Russian and Syrian officials as well as witnesses of the alleged chemical attack participated in a press conference in The Hague. The event was entitled "Presentation by the representative of the Ministry of Defense of the Russian Federation with direct participants of the fake video produced by &apos;White Helmets&apos; on 7th April 2018, in the Hospital of Douma". The data provided during the press conference debunked the Western-backed version of the events. Russia brought 17 witnesses of the incident, as well as Douma hospital staff members to The Hague. OPCW technical experts interviewed only 6 of 17 witnesses. Both the Khan Shaykhun and Douma incidents developed via similar scenarios with the US-led coalition carrying out cruise missile strikes on the basis of claims from militants without conducting any investigation. In the both cases the actual effectiveness of the US-led missile strikes were much less than the Pentagon had claimed. Some assert that both military actions appeared to be more of a PR campaign conducted by the Trump administration meant to make the president appear tough on Russia. Other military experts link the high rate of missile intercept and technical failure to assistance provided by the Russian military deployed in Syria. While air defense systems of the Russian military group in Syria were not employed directly, Russian air defense forces likely provided the Syrian military with vital operational data and targeted the incoming missiles with their own electronic warfare capabilities. The cases of Aleppo, Eastern Ghouta, the Rastan pocket and other regions demonstrated that Russia&apos;s leadership appeared to be aware of both the limits of the country&apos;s power and of what can be accomplished using solely military means. Almost immediately after the start of the anti-terrorist campaign in Syria, Russian forces started participating in humanitarian operations across the country. The Centre for the Reconciliation of Opposing Sides, headquartered at the Khmeimim Air Base in the Syrian Arab Republic, is the main force carrying out humanitarian operations and promoting reconciliation efforts. a group focused on providing humanitarian aid. Servicemen of the Center played a key role in reaching withdrawal or reconciliation agreements with militant groups in such areas as Aleppo, Eastern Ghouta, Wadi Barada and Rastan. On almost a daily basis, the Center provides bulletins providing info on its activities and the military situation in the region. Thanks to the work of the Centre, over 2,500 settlements have joined the ceasefire regime by June 2018. The number of armed formations that have joined the ceasefire regime is 234. Humanitarian corridors were also established at the contact line between the militant-held part of Idlib province and the government-held area. These corridors allow civilians to leave the area controlled by militant groups. Russian specialists also established mobile units which they use to provide medical aid to civilians. In general, about 300 people receive medical help on a daily basis. Units of the Russian Military Police have been spotted in Aleppo, Deir Ezzor, Eastern Ghouta, Yarmouk, Rastan and other areas where reconciliation or withdrawal agreements have been reached with militants. The goal of these units is to monitor implementation of the agreements and to assist Syrian forces in restoring law and order in the liberated areas. These claims are especially interesting, because they exploit the audience&apos;s lack of information about the conflict and mix facts with exaggerations or even outright lies. While the Russian side is also far from being innocent in promoting a one-sided version of the story, the US and its allies have a much larger and better funded media conglomerate by which to spread their propaganda. Mistakes of the Russian Defense Ministry in the coverage of its military operation in the country also played their own role. On November 14, 2017 an official page of the Russian Defense Ministry released fake photos [old photos from Iraq and a screenshot from a video game] to illustrate a statement on interaction between the US-led international coalition and militants of ISIS. Later, the defense ministry said that a civil employee attached the wrong photos to the post and the incident was under investigation; however, no details on the result of this investigation were provided. In the third part of Oliver Stone&apos;s Showtime special "The Putin Interviews" broadcasted from June 12 to June 15, 2017 Putin took out a cellphone to show Stone a clip of how Russian aircraft were striking militants in Syria. The video that appeared was US gun camera footage originally filmed in Afghanistan in 2013. On October 24, 2017, Defense Minister Sergei Shoigu stated that since the start of the operation in Syria, 503,223 km2 were liberated from terrorists. The problem here is that Syria&apos;s total area is about 185,180 km2. Shoigu&apos;s figure is 2.71 times larger than the entire country as it existed before the conflict. One could describe these incidents as probable acts of informational sabotage. Putin does not use a personal cellphone, so some person had to have prepared the video beforehand. A Defense Ministry staffer provided Shoigu with the grossly incorrect figure, and someone released obviously fake photos via the defense ministry&apos;s social media page. Were these very amateurish mistakes, or calculated sabotage? It is most probable that all of these cases are the result of the gross negligence or low quality of work of some middle to low level staffers involved in providing informational support concerning Russia&apos;s military actions in Syria. Only a small portion of the Russian Defense Ministry&apos;s statements can be found on its website. Content demonstrated during press conferences – maps, photos and detailed information – is not translated into English and is not uploaded to the official ministry website after press conferences. The Russian mainstream media, such as Sputniknews and RT, do not attempt to cover all of the facts and details revealed during the press briefings. Thus, a major part of the audience, especially an English-speaking audience, remain uninformed about key facts and evidence provided. This situation is another factor allowing the Western mainstream media, pundits and experts to ignore the key arguments of the Syrian-Iranian-Russian alliance and to push their own narrative. On April 25, 2018 Chief of the Main Operational Directorate of the Russian General Staff Colonel General Sergei Rudskoy held a press briefing providing details on the results of the April 14 US-led missile strike on Syria. Colonel General Rudskoy demonstrated a presentation that included maps with locations and details of the missile interceptions and multiple photos of the intercepted missiles with comments explaining what they illustrated – all in Russian. Some vestiges of the intercepted missiles were also showcased during the press conference. None of the content demonstrated by Colonel General Rudskoy was uploaded online following the press briefing. None of the content demonstrated was translated into English and covered in detail by RT, Sputniknews or any other Russian mainstream English-language media outlets. Even a detailed photo-report showing the vestiges of the intercepted missiles demonstrated during the press conference can hardly be found in English reporting of the event. On April 26, 2018 Syrian and Russian officials held a press conference in The Hague. As previously stated, it was entitled "Presentation by the representative of the Ministry of Defense of the Russian Federation with direct participants of the fake video produced by &apos;White Helmets&apos; on 7th April 2018, in the Hospital of Douma". The press conference included a detailed overview of the results of the Russian-Syrian investigation of the April 7 incident in Douma with photos, videos, and statements from experts and eyewitnesses. None of the content demonstrated during the 2 hour press conference was uploaded online. No comprehensive coverage of the entire story, including facts and details, provided during the event appeared in the Russian mainstream media&apos;s English language reporting. As a result, the Western mainstream media was able to ignore these events and Western officials denounced them as propaganda stunts, while not addressing any of the facts or evidence provided by the Russian side, demonstrating the sad fact that if something does not exist for the English-speaking audience, it does not exist at all. Another failure of the Russian media is the unclear opinion expressed regarding the status of PMCs involved in the conflict. Private military companies and mercenaries are illegal in Russia, at least officially; however, such entities do exist and their members have been participating in the conflict for quite some time. On February 8, 2018 the US-led coalition released a statement saying that on February 7th it had struck "pro-regime forces" attacking "Syrian Democratic Forces headquarters" in the Euphrates Valley. According to local sources, the US strikes hit pro-government forces in the area between the village of Khasham (controlled by the government) and the CONICO gas facility (controlled by the SDF). Pro-government forces, supported by some PMCs, were allegedly trying to recapture the gas facility from the SDF. The Pentagon stated that the strikes were defensive. The Russian side said that the US had attacked local militias carrying out operations against ISIS cells. However, the difference in these claims is not the most interesting part. Almost immediately after the first reports of the US strikes, western MSM outlets started releasing reports based on anonymous sources that stated that between 100 and 300 "pro-Assad fighters" were killed by the strikes. A few days later, once again relying on anonymous sources, 100 to 300 allegedly killed "pro-Assad fighters" morphed into 100 to 300 killed "Russian fighters" – i.e. PMCs. Some "experts" and outlets even claimed that this number was much higher, in the realm of 600 killed. The story developed further on April 12, when Michael Pompeo, then the CIA director recently nominated to be US State Secretary, claimed that the US had killed "a couple hundred Russians". On April 20, US President Donald Trump provided his own statement based on the same story, claiming that there was a direct engagement between US and Russian troops in Syria and "many people died in that fight". This entire story demonstrates how a clear media forgery could reach the wide international audience and start being repeated as a fact. Since February 7, when the strikes took place, there has been zero evidence that can confirm any major casualties among Russian PMCs in this incident. 300 or 600 killed Russians in Syria is not something that can be hidden; however, no photos or videos of the bodies, names or any other evidence has ever been presented. The analysis of open data made by both pro-Syrian and pro-US analysts has concluded that 5 Russians may have reportedly died during the week when the US strikes took place. However, no details regarding the nature of their deaths are available. Sources in the SAA and other pro-government formations also deny any such casualties among Russian PMCs. On February 14, the Russian Foreign Ministry confirmed that five "presumably Russian citizens" could have been killed in Syria and described reports about "mass" casualties among the Russians as fake news. The MSM has continued repeating the "300-600 killed Russians" story for almost half a year now. The narrative works because there is no official data on Russian PMCs in Syria. The MSM can effectively repeat a story which has no factual basis, while claiming that the Kremlin is hiding hundreds of casualties, because the Russian government continues to maintain a position of strategic ambiguity regarding the issue of Russian PMCs&apos; activities in Syria. The Russians forgot to create their own army of NGOs and activist groups that would be able to oppose a media campaign run against them by the White Helmets, the Syrian Observatory for Human Rights (SOHR), Bellingcat and other organizations that claim impartiality, but are funded and promoted by the US and its allies. Only the many hard-won military victories on the ground allowed the Syrian-Iranian-Russian alliance to compensate for the many setbacks faced in the information war being waged by the US-led bloc and its massive media arsenal. During the time the operation in Syria was being conducted, Russia was acting amid growing sanctions pressure and tensions with the US. Despite this, Russia has appeared to be capable of changing the course of the war and imposing its own diplomatic formats to work towards and achieve a political solution to the conflict. Initially, the Russians made two early attempts to negotiate a semblance of an agreement with the US in order to establish a wide-ranging ceasefire across Syria and to separate the so-called moderate opposition from terrorist groups – Jabhat al-Nusra and its allies. The first deal was announced on February 22, 2016. It took effect on February 27, 2016. However, by July 2016, it had appeared that the US and its allies were not fulfilling their part of the agreement. The separation of moderate militant groups from terrorist groups had also failed. Furthermore, Jabhat al-Nusra and its allies used this time, with assistance from their foreign backers, to re-group and re-supply their forces in preparation for the battle of Aleppo. The second attempt was made on September 10, 2016. The ceasefire brokered by the US and Russia started on September 12. Jabhat al-Nusra, ISIS and other terrorist groups were once again excluded from the cessation of hostilities. At the very same time, the battle of Aleppo entered its final stage. Jabhat al-Nusra-led forces were fiercely fighting the SAA in the city and were not going to obey any terms of the agreement, seeing this as a de-facto surrender. On October 3, the US announced its withdrawal from the deal accusing the Syrian-Russian-Iranian alliance of violating it. Both of these cease-fire initiatives collapsed, because the sides had pursued very different and divergent goals. The US saw these ceasefires as a tool to interrupt a series of victories by the SAA across the country and to prevent the Assad government from liberating the city of Aleppo. It appears that the Russian side genuinely hoped to launch a bilateral cooperation with the US to de-escalate the conflict, to separate the opposition from the terrorists and to create conditions to deliver a devastating blow to Jabhat al-Nusra and ISIS. Meanwhile, Turkey made attempts to normalize relations with Russia. After the Turkish Air Force shot down a Russian Su-24 jet in Syria on November 24, 2015, Moscow deployed additional forces to Syria, broke contact with the Turkish military and imposed painful economic sanctions on Ankara. By June 2016, President Recep Tayyip Erdogan and the rest of Turkish leadership had come to the conclusion that they had to restore economic and military cooperation with Russia. Ankara appeared to be drawing into Russia&apos;s sphere of influence, at least as far as working on mutually beneficial end to the conflict. In December, Turkey, Iran and Russia announced that they were launching a new format of negotiations on the Syrian conflict, which would be held in the Kazakh capital of Astana. The first round of the Astana talks took place on January 23 and 24, 2017 involving the Syrian government and a reasonably constructive element of the Syrian opposition. Turkey, Iran and Russia participated as the guarantor states. During the fourth round of the Astana talks in May 2017, Moscow, Ankara and Teheran signed a memorandum on the establishment of de-escalation zones in Syria that included the militant-held parts of Aleppo, Idlib and Hama provinces, the Rastan pocket in northern Homs, the Eastern Ghouta region and the area near the Syrian-Jordanian border. ISIS, Hayat Tahrir al-Sham and its allies were excluded from the agreement. This time around the agreement worked, because the guarantor states did not pursue contradictory goals. The situation improved and conflict in a significant portion of the country was de-escalated, while operations against radical militant groups were able to continue. Contacts between Israel and Russia over the situation in southern Syria, close to the Israeli-occupied Golan Heights. While Israel remains capable of carrying out airstrikes on separate targets in Syria, making loud diplomatic statements and threatening to employ any measures in order to combat Iranian forces in Syria, it has very few real options to influence the strategic situation in Syria at this point. From 2015 to 2018, the Israeli position in the conflict worsened significantly. The Assad government has remained in power and the Iranian presence in Syria, both politically and military, has increased. On February 10, 2018, the Syrian military shot down an F-16I fighter jet of the Israeli Air Force which was engaged in targeting government positions or assets in Southern Syria. This is the first case of Israel losing a combat aircraft to an enemy combatant since 1982. Despite the increased number of Israeli strikes over the past two years, their effectiveness has decreased and the Syrian air defense forces have begun to respond more actively. The current situation in southern Syria also shows how Russia limits Israeli actions through diplomatic channels. Tel Aviv has repeatedly stated that any SAA advance in the area is unacceptable, because it would lead to further deployment of Iranian forces there. However, the SAA operation there has been launched without any response, possibly because Russia has helped to limit or prohibit Iranian involvement. Throughout the conflict, the attitude exhibited by Russian diplomacy has been close to that of the Iranian leadership. While Russia and Iran had joint military goals in many respects, there were notable differences in their diplomatic attitudes, most notably their respective attitudes towards Israel. These differences of opinion may lead to changes in the status of their cooperation in resolving the conflict once the overt military phase has ended. To increase pressure on Hayat Tahrir al-Sham in the provinces of Idlib, Latakia and Aleppo in the framework of the de-escalation agreement reached during the Astana talks. The Russian Special Operations Forces and the Aerospace Forces will continue providing support to government forces in their key operations against terrorists. Nonetheless, the direct involvement of Russian forces will decrease, while negotiators on the ground and on a higher diplomatic level, will play an increasingly important role. The defeat of Hayat Tahrir al-Sham in the province of Idlib will require at least a limited coordination with Turkey and a large-scale humanitarian operation to evacuate civilians from the area controlled by the terrorist group. In turn, the US will continue working on establishing independent governing bodies that will aim to manage the areas held by the coalition and the SDF and that will be hostile to the Assad government. This effort is obstructed by a complicated situation in the coalition-occupied areas, because of the tensions between the Kurdish-dominated SDF and the local Arab population. Indeed, Kurdish SDF units have already complicated relations with US-backed Arab armed groups, which are also a part of the SDF. At the same time, US-Turkish relations will continue to experience friction over US military support to Kurdish armed groups, which are the core of the SDF. Ankara describes these groups as terrorist organizations. Continued US support for armed Kurdish groups may further increase the likelihood of improved Russian-Turkish relations and greater cooperation between Ankara and Moscow in how deal with resolving the Syrian conflict. Ankara will continue to pressure Washington to abandon its Kurdish proxies at every turn, and every US attempt to avoid this reality faces will be met with another Turkish move to boost economic and military cooperation with Russia. Furthermore, Russian-Turkish relations are being strengthened by major joint economic and military deals, including the TurkStream gas pipeline, the Akkuyu Nuclear Power Plant and the S-400 air defense system deal. These cooperative economic and military arrangements will continue to increase tensions between Washington and Ankara. The successful military operation in Syria has undoubtedly boosted the Russian role in the Middle East region in general, allowing it to act as a mediator in conflicts between nations. Moscow actively cooperates with Teheran supporting the Assad government and combating terrorism in Syria. 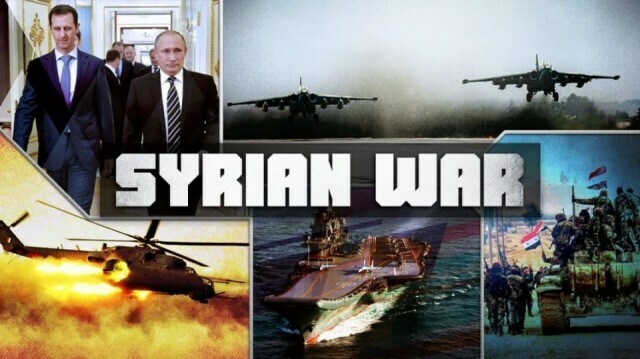 At the same time; however, Russia has been able to leverage its reputation as the global power that is willing and capable of working with other regional players, including Israel, Saudi Arabia and Qatar in order to settle the conflict in Syria, thus avoiding a large-scale escalation or even a wider war in the region. Through its campaign in Syria, Moscow promoted its economic interests. President Bashar al-Assad and other officials have repeatedly stated that Syria is going to grant all the contracts on restoration of the country&apos;s infrastructure to its allies – i.e. Iran and Russia. Russian companies are already participating in the energy projects, both oil and natural gas, in the country and are preparing to expand their presence in the country. Syria will be able to rebuild after a devastating war and Russia will increase its economic and political power in the region, while further securing economic benefits for its citizens at home. The operation also contributed to Russia&apos;s national security. As it was noted in the start of this video, Russia has always been a target of terrorist activity of various radical groups, including ISIS and al-Qaeda. Some Western state actors have endorsed at least a part of this activity. It is notable that no major terrorist attacks have been carried out inside Russia since 2015. Russian forces eliminated a large number of militants in Syria who were members of terrorist groups originating in its Southern Caucasus regions created in the post-USSR era. This is already proving to be a major blow to the remaining cells of these groups hiding in Russia, because they have lost their most experienced and ideologically motivated members in Syria. The expansion of Russian military infrastructure, including naval and air bases in Syria, shows that Moscow is not going to withdraw from the country in the near future. Russia will continue its efforts to defeat terrorism and to settle the conflict using a variety of military and diplomatic measures.